$349. Participants rock climb the back side of the slide before sliding down the front. 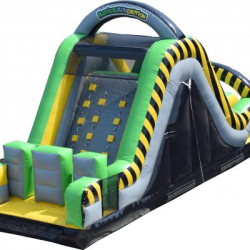 This slide can also have an obstacle course added to it for more radical fun!